At work Halloween is our biggest time of the year, so we do Secret Pumpkins. Why not, right? Well, this is the third week of the whole ordeal, and I had not a clue what to get my S.P.. I'm sitting at home, dishes done, laundry done, the house is clean, the dog is napping, the husband outta town. What is a a girl to do? Oh yeah.. Make pumpkin cheesecake brownies for her S.P.. Oh what a lucky gal my s.p is! 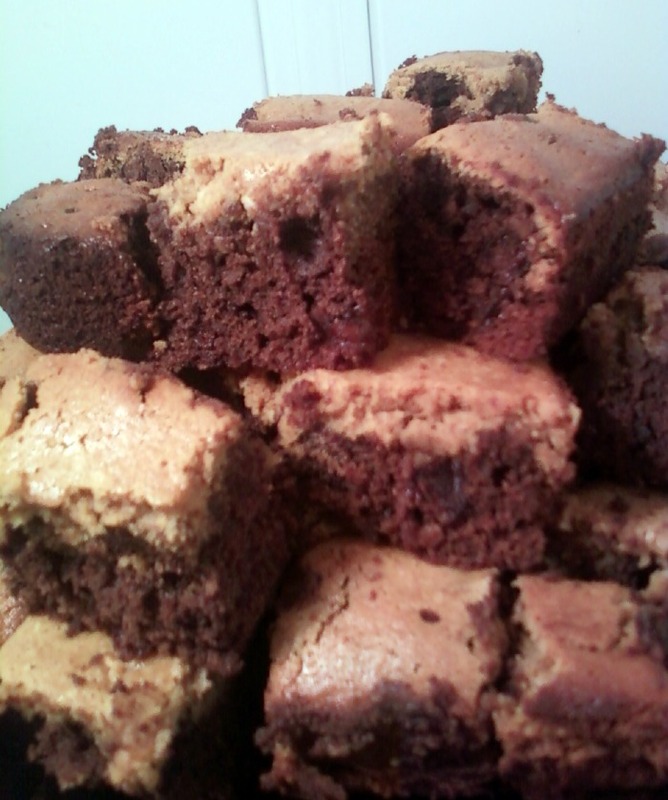 I love this brownie recipe so much that I have it memorized. Silly me, I don't remember phone numbers, the name of your child, but I do remember recipes. I do this a lot you see. But nobody complains when they take a bite, so I think it's a good thing. Preheat your oven to 350 degrees. Grease a 9x13 baking dish, set aside. 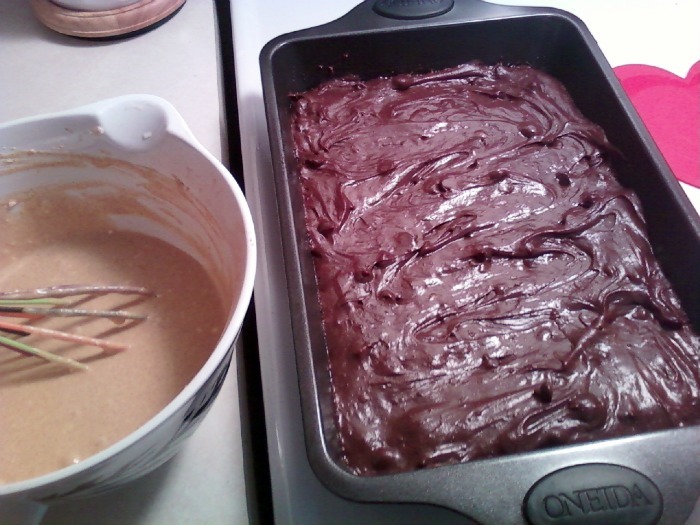 In a large bowl Combine the flour, cocoa, salt, and baking powder. Whisk to combine. Melt the butter, and pour it into another large bowl, NOT the one with the dry ingredients. Add the sugar to the butter, and whisk until sugar is dissolved. Fold in the beaten eggs, quickly and then stir in the vanilla. Slowly incorporate the dry ingredients into the egg/sugar mixture. Mixing well after each addition. Once all dry ingredients are added and the batter is combined thoroughly, fold in your chocolate chips and pour into the baking dish. To make the pumpkin layer, cream together the cream cheese, sugar, and ground cinnamon. Beat in each egg, beating after each addition. Add the pumpkin puree and the vanilla and mix well. Pour over the chocolate layer, spreading lightly to cover, and making sure it's evenly distributed. Bake at 350 for 45-55 minutes. I always check mine after 30 minutes, oven temps do vary so just keep an eye out! I wasn't going to tell my S.P who I was, but I couldn't help it, I had to see if she liked them. She told me she loved them so much she wanted to make them for her daughters birthday! Thanks Julie, that really made my night. Wow! Your secret pumpkin is going to be STOKED!! You are the cutest baker EVER!! oh snap! i have to taste this! looks amazing, way better then the bacon covered beef liver J had, haha.